If you’re faced with a tough stain in your carpet or upholstered furniture, there’s no need worry. The professionals at Royal Carpet Care will make it disappear in no time! Royal Carpet Care of West Babylon has been cleaning carpets and tackling the stains that everyday living cause for 30 years! We have become very adept in many areas of the business and carpet stain removal is one of our many specialties. Our Long Island carpet stain removal services will make your carpet look brand new again. No matter how careful you are, everyday living can cause staining to your carpets or furniture, and it gets worse if you have kids or pets (or both!). Accidents happen. Children spill, pets have accidents, and foot traffic wear and tear are all a part of day-to-day living. 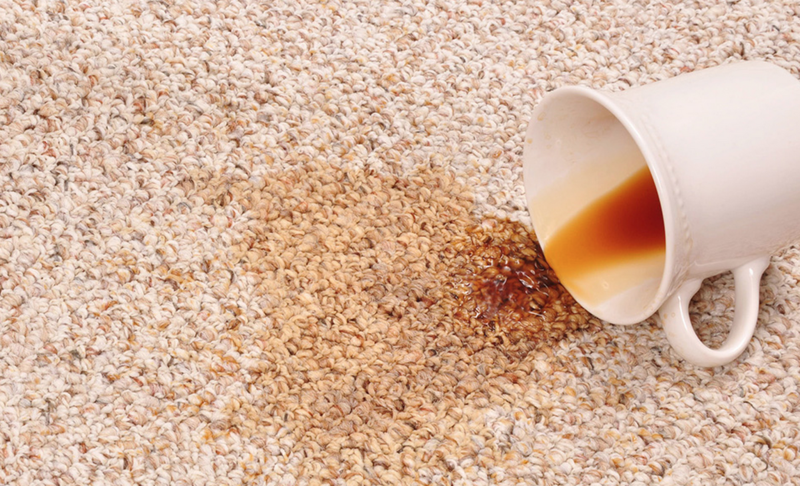 Before you know it, you have a carpet stain. Most stains will require a basic cleaning to be removed, but there are some that require special treatment. The process requires not only knowing what to use, but also when and how to use it, and that is where we come in. All upholstered furniture becomes dirty and stained over the years, even with a fabric protector such as 3Ms Scotch Guard. However, they are more readily removed if pre-treated and if the proper cleaning procedures are used. The type of fabric in question makes a difference as well. Essentially, whether or not a stain can be removed depends upon the fabric, color and type of fiber, what has stained it, and the stain removal procedures used. If there is a stain that we can’t remove, nobody else can! Royal Carpet Care of West Babylon is the right call to make for carpet stain removal. We will give you a free carpet stain removal estimate right over the phone, so give us a call today!